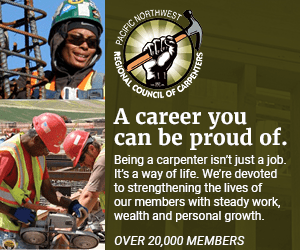 WASHINGTON (NNPA) — Economists are breathing a sigh of relief after the Labor Depart­ment reported last week that employers added 163,000 workers to their payrolls last month, doubling the 80,000 jobs added in June. More jobs were added in July, than in the previous two months combined (69,000 jobs were picked up in May). The unemployment rate still managed to creep up to 8.3 percent from 8.2 percent in June, confounding supporters of President Obama and rallying the Republicans, eager for the showdown in November. How can the unemployment rate go up as the economy gains jobs? It depends on whom you ask. The Labor Department utilizes two different surveys to measure the employment outlook in the U.S. The government polls business owners to get the jobs number, which economists say is a more accurate gauge of employment trends. The unemployment rate is derived from household surveys. When it comes to the Black unemployment rate, it doesn't matter who you ask – the numbers are dismal. In July, the unemployment rate for Blacks was 14.1 percent, a slight decrease from June's 14.4 percent while the jobless rate for whites stayed flat at 7.4 percent. Back women fared better in July (12.5 percent) than June (13.7 percent), but nowhere near as well as white women who, even with a slight increase (7.3 from 7.0 percent), still landed below the national average of 8.3 percent. In comparison, Black men fared far worse than the other groups nearly doubling the national average from July with an increase from 15.1 percent to 15.8 percent. The rate for white men dipped slightly from 7.6 to 7.5 percent. Heidi Shierholz, an economist with the Economic Policy Institute, said that July's unemployment numbers indicate that the economy is making "slow and rocky progress." The U.S. economy added 151,000 jobs per month on average for the first seven months of 2012. In 2011, employers hired roughly 153,000 workers a month. "If we were at full employment, we'd be happy with those numbers, because they're enough to keep up with population growth," Shierholz said. But when millions of Americans are out of work or have simply given up hope of ever finding a job and earning a living wage, adding 151,000 jobs a month just won't cut it. "The number of jobs we need to get back to full employment is around 10 million," Shierholz explained. "At that pace, it's going to take so long to get back to anything that looks like health in the labor market. That is just completely unacceptable." Other economists suggest that the fierce political climate and partisan bickering in Washington has redefined just what we are willing to accept. Steven Pitts, labor policy specialist at University of Cali­fornia-Berkeley's Labor Center, compared the unhealthy job market to someone who is dangerously overweight. If that person's ideal weight is 185 pounds, but their actual weight 400 pounds, when that person loses 10 pounds, of course it's an improvement—but they're still grossly overweight. If we begin to celebrate meager gains in the economy, Pitts suggested that we may begin to settle for less: healthier than last month, but only an oreo away from cardiac arrest. "My fear is that we get to a new normal," said Pitts. A new normal for Blacks would translate into depression-level unemployment rates, overcrowded food banks and half-empty shopping malls. For economists such as Shierholz, it's ultimately up to the government to step up and boost the economy through practical fiscal policy. "The economics are clear," Shierholz said. "[The economy] needs more fiscal stimulus and more relief to state and local governments, so that we can stop hemorrhaging jobs at the state and local levels." The public sector is the single most important source of employment for African Ameri­cans. African Americans were 30 percent more likely than other workers to be employed in the public sector. For both men and women, the median wage earned by Black employees is significantly higher in the public sector than in other industries. Prior to the recession, the wage differential between Black and white workers was less in the public sector than in the overall economy. For decades, jobs in the public sector have been the most stable, highest-paying jobs that Blacks could find. You could raise a family, get health insurance and send your children to school. "You're not going to get rich on a [public sector salary], but you're going to be okay," said Shierholz. "The loss of state and local jobs means that the Black community gets hit disproportionally hard." As the economy added 163,000 private sector jobs in July, it shed 9,000 public sector jobs. Layoffs and deep cuts in public sector spending can lead to an erosion in consumer spending power and with Black buying power expected to top a trillion dollars by 2015, depression-level unemployment and joblessness in the Black community could continue to weigh down a sluggish economic recovery for years to come. "It's going to be at least another five years maybe more before we get back to something that looks like a healthy labor market," Shierholz said. "It's horribly disappointing and tragic."